Michael William Wellard, age 60, of Pocatello, Idaho, was born June 14, 1958 to Howard R. Wellard and Hilda Hill Wellard in Blythe, California. It was a beastly hot day and the cooler in the hospital was broken. Hilda said she had been in labor all of Friday but she refused to have her baby on Friday the 13th. Mike weighed in at a whopping 10 lbs. 15 oz. and came with his right hand over his head, so his collar bone had to be broken to be delivered. He passed away February 12, 2019, surrounded by loved ones, at Portneuf Regional Medical Center, due to a pulmonary embolism. The family moved back to Pocatello when Mike was just 2 years old. His grandpa Hill always called him “California Mike” and “Mikey rum bum”. Hilda told of Mike often sitting with her as she sewed, rather than being out playing with his siblings. Because of this he actually sewed most of his original Santa suit and designed his last suit. Mike went to school at Jefferson Elementary, Irving Middle School and Pocatello High School and graduated in June 1976. His teachers loved having him in school. He was always keeping others laughing, which continued through the rest of this life. He quite often had a joke to tell, but still kept a concern for those around and was great at brightening up the room when he walked in. Mike was sealed to Sherry Ann Parsons on June 24, 1977 in the Idaho Falls temple. Their marriage brought three beautiful children, Jennifer Lynn, Christopher Michael and Terra Dawn. Mike was the best daddy, he was always there for his children’s field trips, class parties and just normal days. He loved being with his children and their friends. Mike went to Girls camp with Terra throughout all six years and decided to stay four more years after to lend a hand. Mike attended every concert, football practice, track meets and all the games. He loved being with his kids. His whole world revolved around them. We loved going for family drives often up a canyon here or there. We would hop in the car and often not even know where we were headed until we got there. This is a tradition that he learned from his parents. It is one of our favorite memories. Mike worked for Smith’s Food King before and during the first few years of his marriage. He then drove the “A route” bus for the City of Pocatello for 30 years, during the day and drove for western air, carrier service, during nights and weekends. After taking an early retirement from the City, he drove a “body parts” (car body parts) truck for a few years. Then he continued his driving career, with the Union Pacific Railroad, as the midnight utility “bus” clerk. They offered him a job out on the road because his driving record was so amazing; he chose to stay local to stay close to his family. When Mike’s father passed away in 1985, Mike took it upon himself to be his mother’s protector and sidekick. They spent much of their free time together and on the phone several times a day. He often took her meals and called himself “Wellard’s meals on wheels”. If anything went wrong with his mom’s house or car, Mike was right there with anything to fix what was broken. Mike was always the best kind of friend, he was reliable, willing to talk, no matter how much sleep he lost, and just genuinely loved everyone. He was a member of the Church of Jesus Christ of Latter Day Saints and served in many capacities, including ward clerk, Eleader's quorum president, and Sunday school president. Although, most Sundays, you’d find him out visiting with someone or sleeping through sacrament meeting. 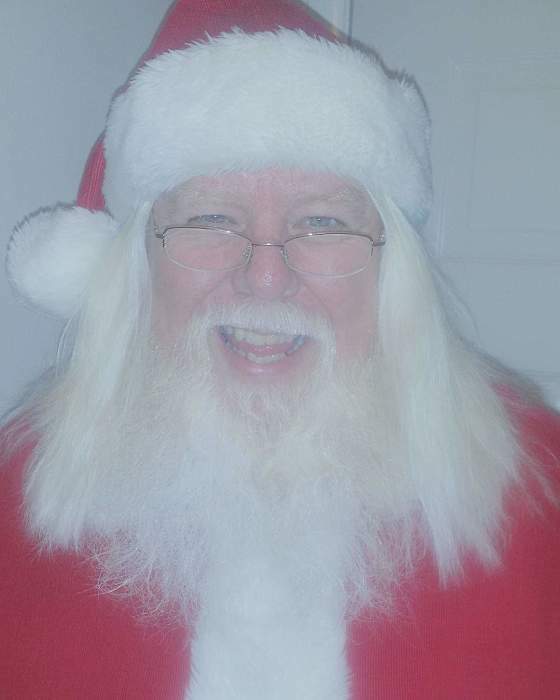 Mike is best known as “Santa” he visited many homes around the Pocatello area. He did many parties for friends, throughout all of their children’s lives and continued into their grandchildren’s lives. He was Santa to many businesses and organizations. His greatest Santa though was getting to be “Pocatello’s Santa” at the Light Parade, riding on the back of the fire truck. He loved bringing joy to the lives of the homes he visited. Many people would call and ask Mike to deliver secret Santa gifts to families around the area. This he did without pay, claiming that the joy on the family’s faces was payment enough. He is preceded in death by his father Howard, daughter Jennifer and son Christopher and also many other family members. He is survived by his mother Hilda, his brothers Kurt (Dana), Brian (Cora), Sister Tina, daughter Terra, son-in-law Scott, daughter-in-law Tia and grandchildren Emma, Abby, Zane, and Rylan. The viewing services have been scheduled for Thursday, February 21, 2019 from 5 pm to 9 pm at the Latter-Day Saint Church at 225 Oakwood Drive, Pocatello, Idaho. The funeral services have been scheduled for Saturday, February 23, 2019 at 1 pm, with a viewing before starting at 12 pm at the Latter-Day Saint church at 225 Oakwood Drive, Pocatello, Idaho. 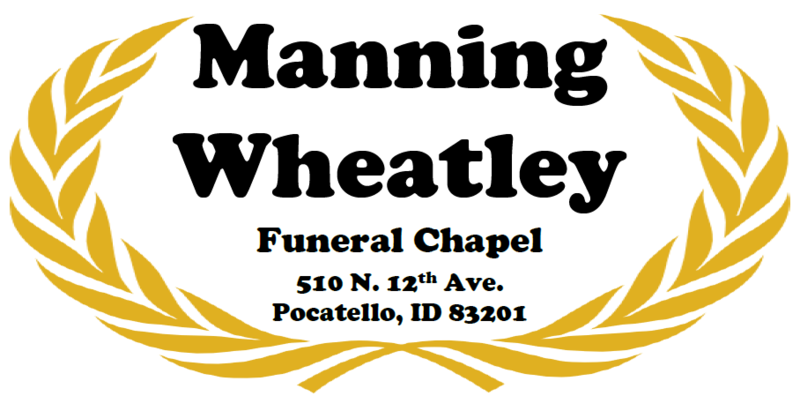 He will be laid to rest at Restlawn Memorial Cemetary at 2864 S. 5th Ave, Pocatello, Idaho. Per his request, in lieu of flowers, please give a gift to a child in need from Mikeee Santa. We would love to see this tradition continue so that his spirit will always be felt in this town at his favorite time of year.